Lock in a great price for Best Western Atrium – rated 8.1 by recent guests! Very convenient location behind tourist office and carousel. Easy to find. Good petite dejuene. Easy walk to main sites. Swimming pool in summer. Parking easy. Location excellent—just behind the tourism office. 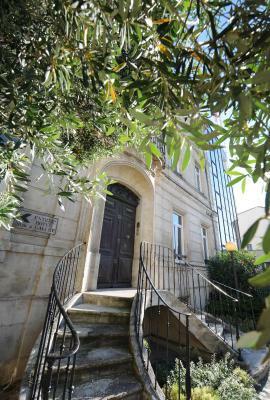 15-20 mins walking distance to all major van Gogh, Roman attractions. Large breakfast. Small rooftop pool, but enough for a hot day. It was clean and conveniently placed. There was enough public parking behind, in addition to the parking garage. We wanted for naught! Great location, very nice rooms - large, clear and well-appointed. Great central location right across the street from old Arles. Can walk to all the tourist sights but hotel has easy in and out of town location. Room was adequate and bathroom had large tub. Staff very helpful. You can reserve a parking space for your car--we forgot to do so, but one was available. Breakfast buffet had a large selection of items. Location was excellent. Breakfast was good, although for 11 Euro pp could have been better. Great value! Room was very clean, modern, decent size, nice bathroom, small patio looked out over some lovely backyards, place had a pool, a nice breakfast room, very near to interesting ancient sites of the old part of the city. I would definitely recommend it and would certainly go back. One of our best sellers in Arles! 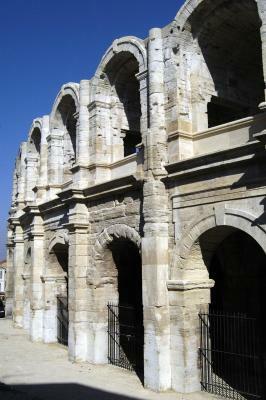 Located in Arles, Best Western Atrium is facing the main historic buildings such as the antique theater. Built around a characteristic 19th century Arlesian house, the hotel features a rooftop outdoor swimming pool with panoramic views of the city. 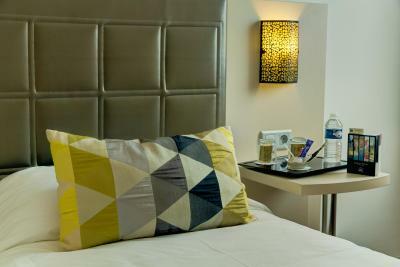 All rooms are air-conditioned and feature a flat-screen TV and tea and coffee making facilities. Free WiFi is provided throughout the hotel. A buffet breakfast is available every morning. An express breakfast is also available on request at reception including a hot drink, fruit juice, a pastry and a piece of fruit. Best Western Atrium is located 350 feet from the city center and cultural areas. Five meeting rooms are available if you book in advance at the hotel. When would you like to stay at Best Western Atrium? This twin/double room has a cable TV and air conditioning. 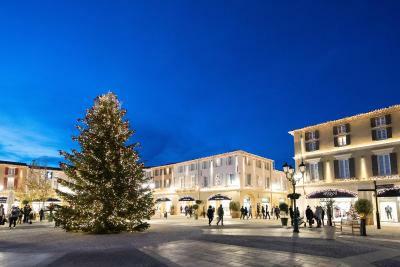 This special offer includes buffet breakfast and the “Monument liberté” Pass. 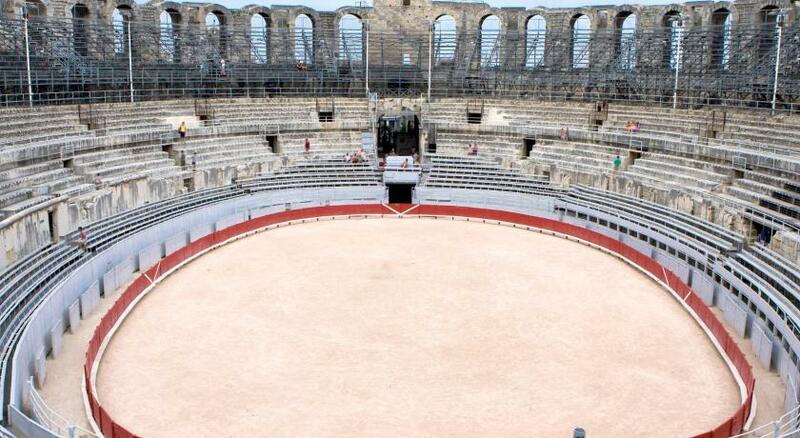 Guests will be able to visit Reattu Museum, either Arles Antique Museum or the Camargue museum and 4 of the following monuments: the amphitheater, Alyscamps, Cloître Saint-Trophime, Constantin Thermal Baths, the Cryptoportiques or the antique theater. 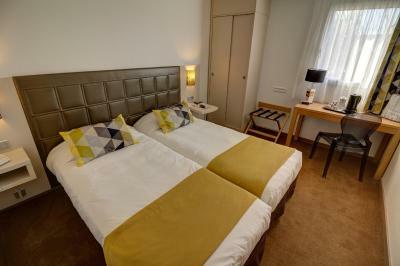 This double room features a flat-screen TV, private pool and soundproofing. 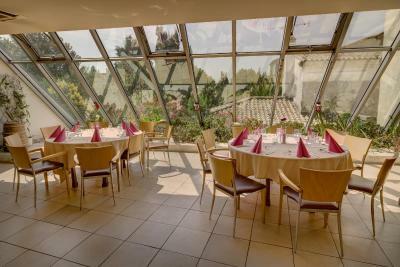 Situated in the city centre, The Best Western Hotel Atrium *** is the perfect location for business travellers, seminars and conferences, and for tourists who want to get out and about in Arles, a UNESCO World Heritage Site since 1981. House Rules Best Western Atrium takes special requests – add in the next step! Best Western Atrium accepts these cards and reserves the right to temporarily hold an amount prior to arrival. Please note that the swimming pool is available from May to September. A private car park with a limited number of 18 spaces is available. Reservations are possible upon check-in, subject to availability. Modern intern interior with comfy bed. One of our girls forgot the laptop in the room and the staff never found it, was stolen. Nothing really... It might have been a nice stay, instead... Laptop stolen. Plenty of choice, although the eggs and bacon left a great deal to be desired! Ease of booking & instant verification. We were two and there was only coffee bags for one. Towels only for one as well, i know all we had to do was ask but we didnt want to. Not much storage space. Pet friendly, 10€ extra for our well behaved dog. Location is excelent, staff is very friendly and room was very confortable. Parking on location for 10€, which we considered a fair price. We loved the pool table, which was one of the reasons we'v booked this hotel. Good location. Friendly, efficient staff. Comfortable hotel. Good parking. Good location. Big room and very nice and kind staff.very close to the center. everything was O.K. and more than O.K. This hotel in the entry of the city of the beautiful Arles it was a really good experience as it was over our expectations .It was very clean with very good matress, full of light ,the light of magnficent Provence .Also it had a good price soamething very important for travellers. The toilet was separate from the bath in a windowless room; we didn't like that in particular. Problems with room key locks which had to be reset repeatedly. Comfy beds. Great location. Helpful staff. I couldn't turn down the heat and when I opened the window the noise aof a generator was so loud I had to close it. 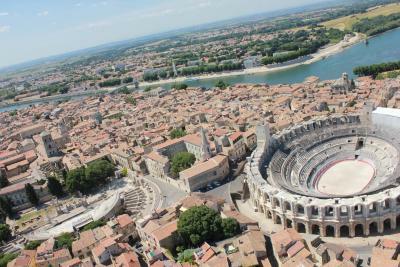 The hotel is close to everything in Arles. The room was large and bright; there was a kettle and teabags and instant coffee ( rare in French hotels), a lovely bathroom, and a very comfortable bed.